Top Shelf Reggae journalist Kristy Rose explores the last stop of Scallywag Fest 2018 in sunny San Diego, California in a skankin' vlog style. 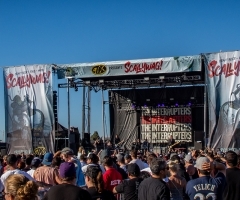 Presented by 91x, performances included Rancid, The Mighty Mighty Bosstones, Hepcat, Less Than Jake, The Interrupters and Beach Goons. 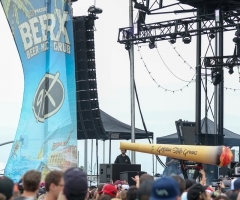 The first half of the day, festivalgoers were revelling in free beer tastings from over 150 craft brewers from the local San Diego area. Talk about a hook-up! Scallywag SD had something for everyone from start to finish. As the day progressed, mosh pits were circling, people were skanking and a punk rock presence was prevalent down at the Waterfront Park of The Embarcadero. Whether people were passively taking in the scene or engaging in an all-out rager, Scallywag SD had something for everyone from start to finish. 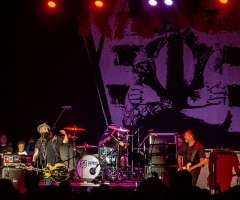 Ending with hometown heroes, Rancid, was a nice touch too. 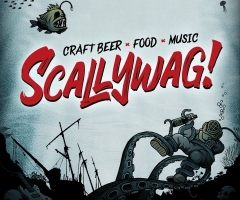 Until next year, Scallywag stays in the forefront of punk rock and ska lovers down in SoCal.